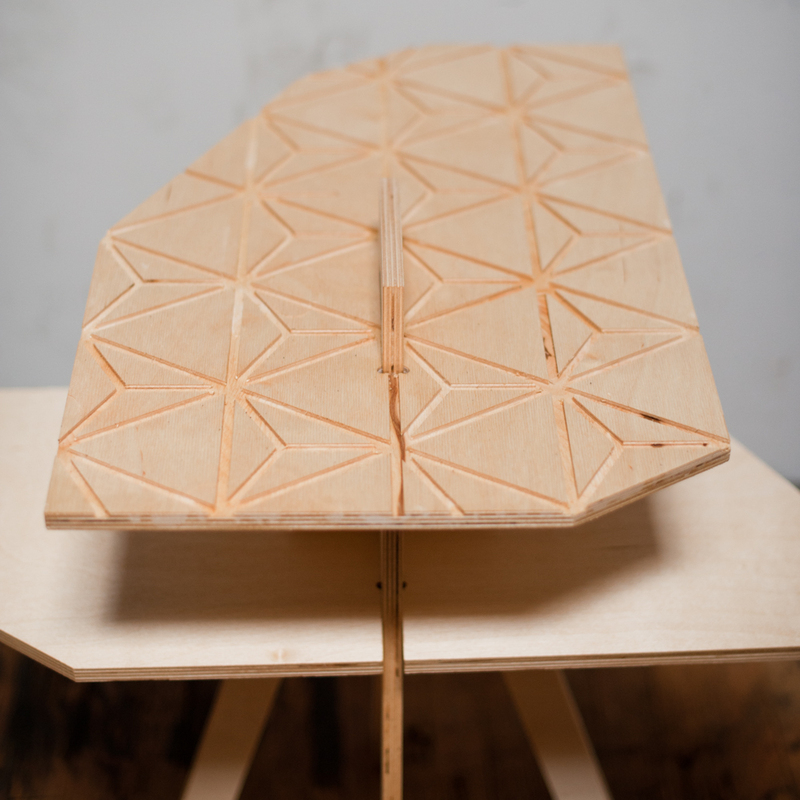 The Flat Pack Table breaks down into 4 pieces and stacks 2" thick. No hardware is required for assembly. The top surface is customizable and reversible.